Kulukki sarbath is the very popular drink especially in Kerala. 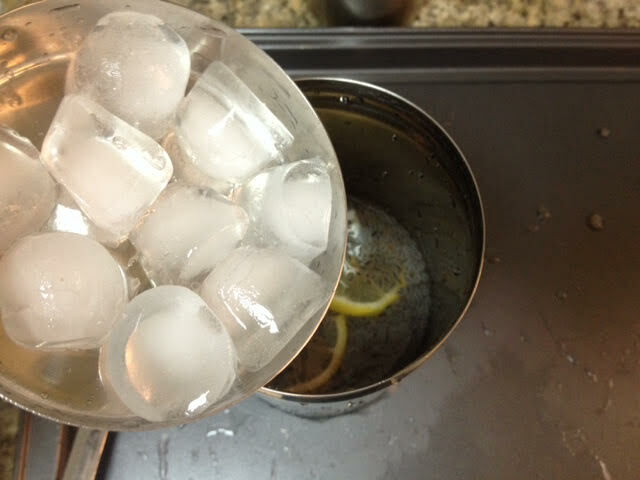 Shaken lemonade / kulukki sarbath is the best thirst quencher to beat the summer heat. 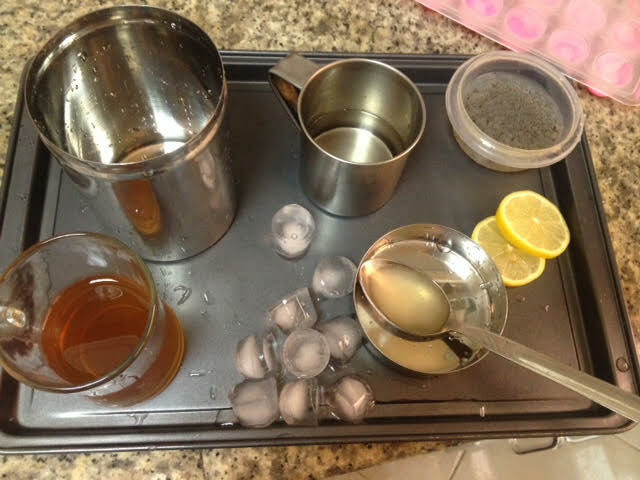 This is the traditional drink of Malabar which is made of handy ingredients. Adding nannari syrup in kulukki sarbath makes this nannari kulukki sarbath something very special. The fine flavor and vibrant color of nannari makes this drink the best among refreshing drinks. 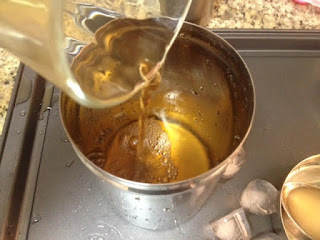 As it is prepared by shaking all ingredients inside a cocktail mixing container or something thing like that, it is named as kulukki sarbath. 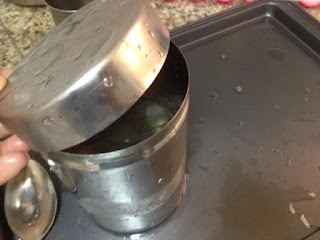 So instead of cocktail mixing container, you can use a bottle with a lid or something like that. Here am sharing the recipe of sweet kulukki sarbath with nannari flavor. 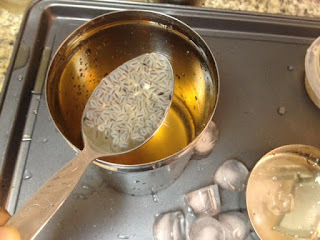 You can also add chilies for a bit spiciness. 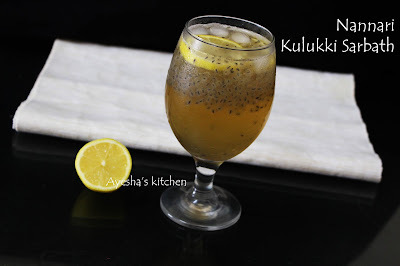 The sabja / basil seed which is known as kaskas (cuscus) adds extra cooling and texture for this drink. Nannari sarbath with nannari syrup / Sugandhi syrup is the best refreshing drink during summer and after the long hours of fasting. Add few tsp of nannari syrup, sugar or sugar syrup , lemon juice and some crushed ice is quite enough for this Instant cooler and Thirst quencher. Ramadan is very close and we all will be searching for quick instant recipes as we do not want to spent more time in kitchen. But at the same time, we need something special and delicious recipes too for Ifthar. So don't worry. 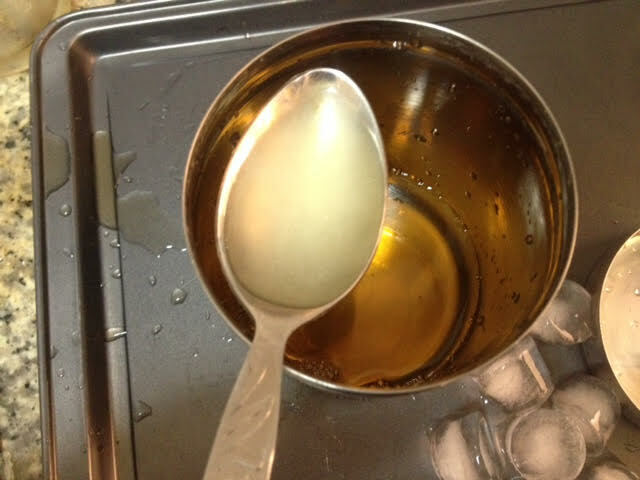 Prepare this nannari syrup in advance and store in an air tight container and then refrigerate. It will stay fresh for months in refrigerator. 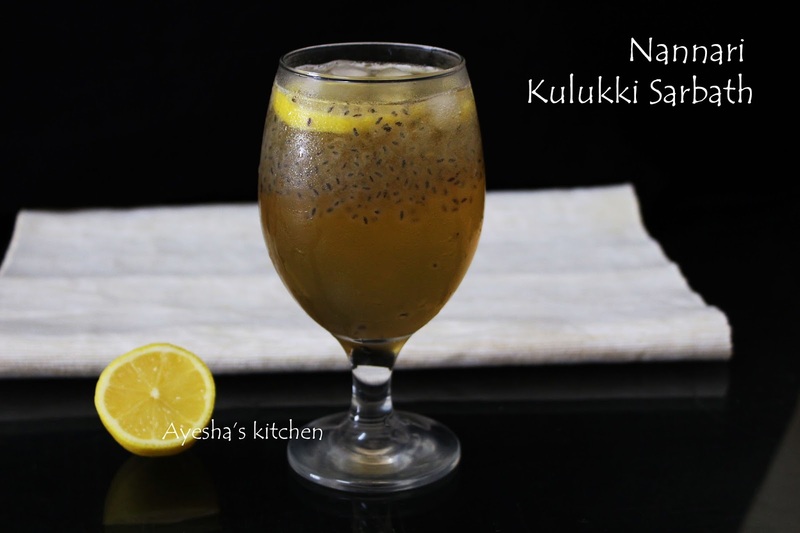 So here is the recipe showing how to make nannari kulukki sarbath. 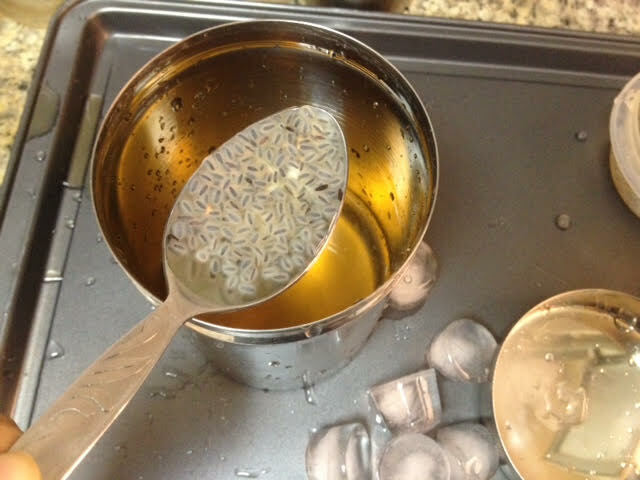 Soak the basil seeds in water for 5 minutes and when it is done drain it. In a bottle or container, add all these ingredients one by one (no need of adding water, as I used nannari syrup. 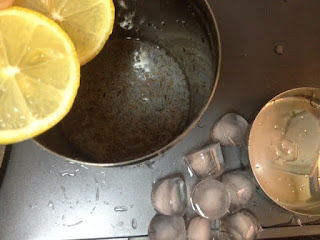 If u need can add half a cup of water too). Close the lid. Shake very well for a minute or more.